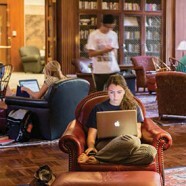 Unable to meet demands for robust digital media, the increasing desire for more collaborative and social spaces or the need for adequate classroom space, the original Wylie Library at the University of Virginia’s College at Wise (UVa-Wise) couldn’t keep pace with the fundamental necessities expected in academic library environments. 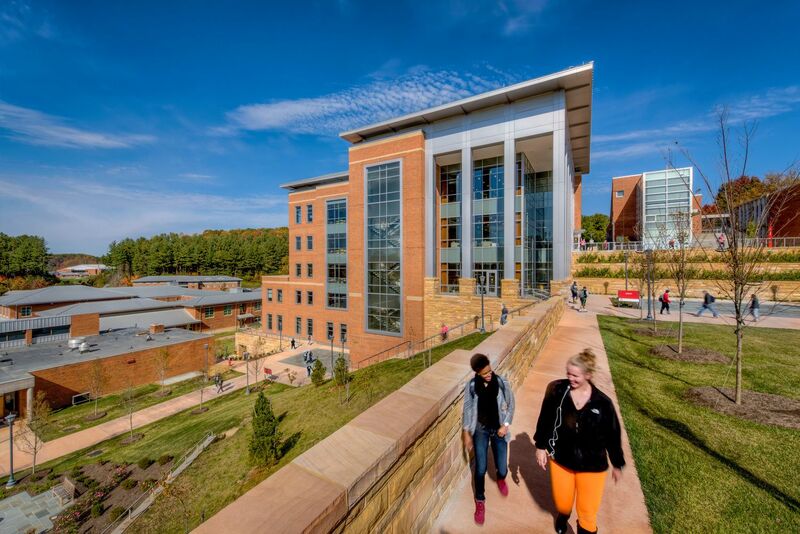 It was crucial to develop a new building that would help connect the lower and upper campus precincts and serve as the heart of campus. 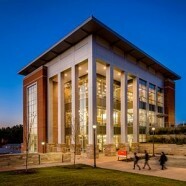 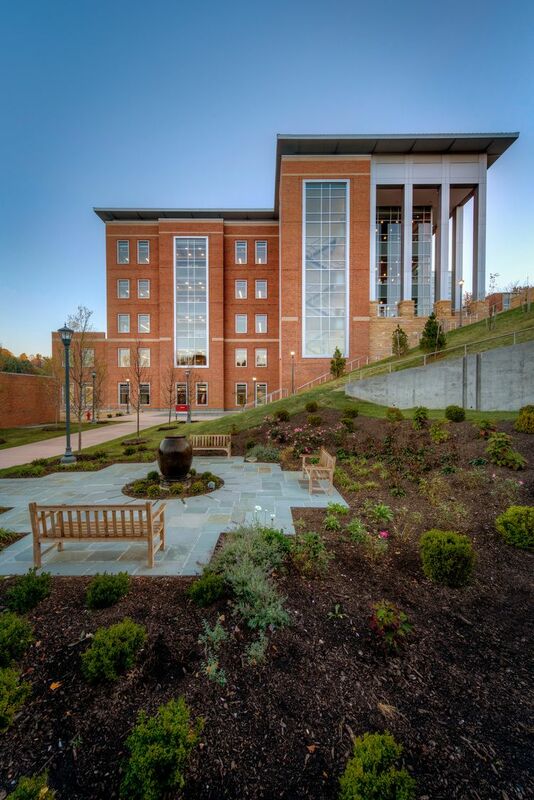 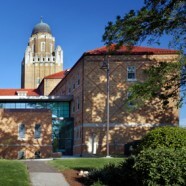 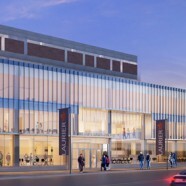 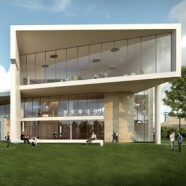 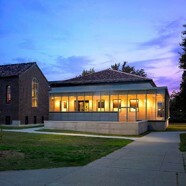 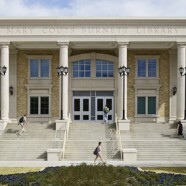 This new building also needed a unique design that made it seem like it was the first one built, and from which other existing campus buildings derived their form and detail. 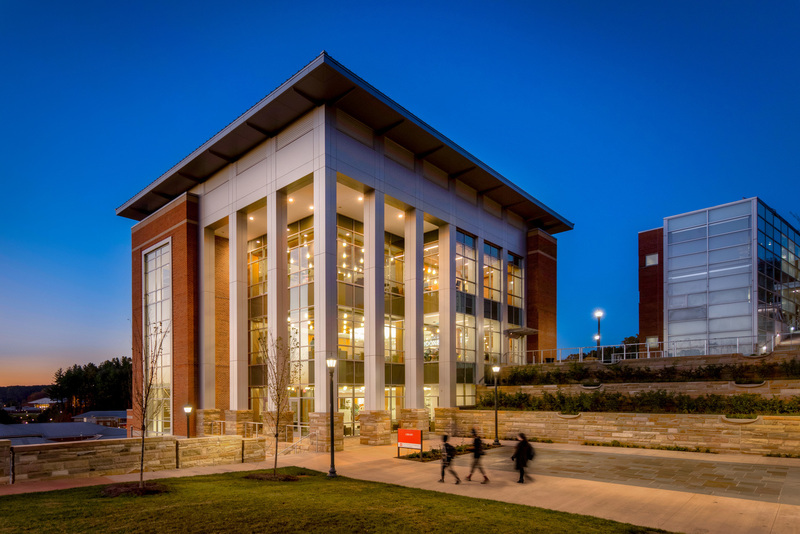 The new library is a 68,000 sf facility complete with six levels and a 24-hour vertical passageway students can use to get to either side of campus. 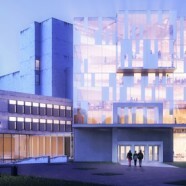 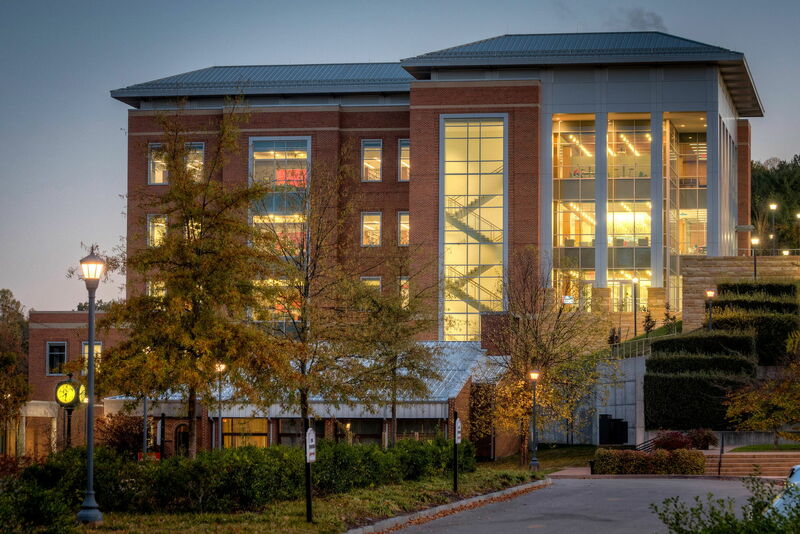 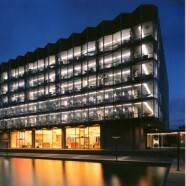 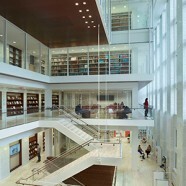 The building incorporates the traditional characteristics of a library environment – including a formal reading room, a special collections area and space for more than 250,000 books – while embracing contemporary academic program areas such as “Smart Group” classrooms, collaborative study areas and a café. 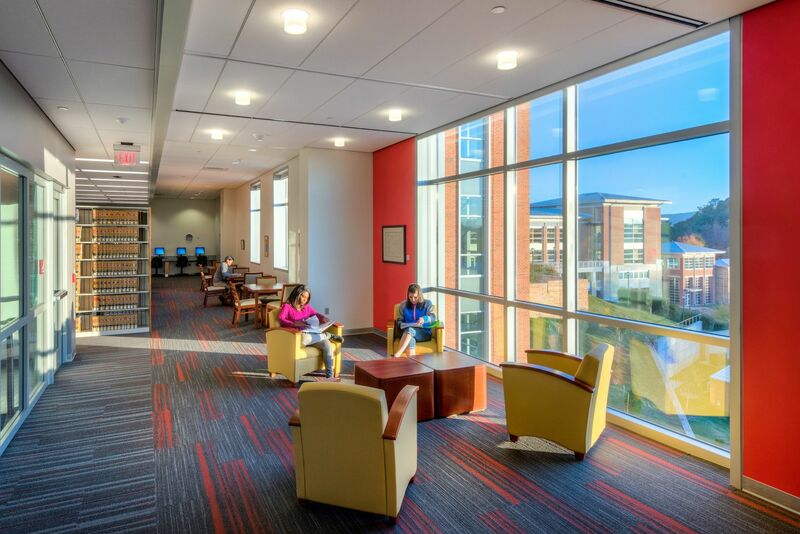 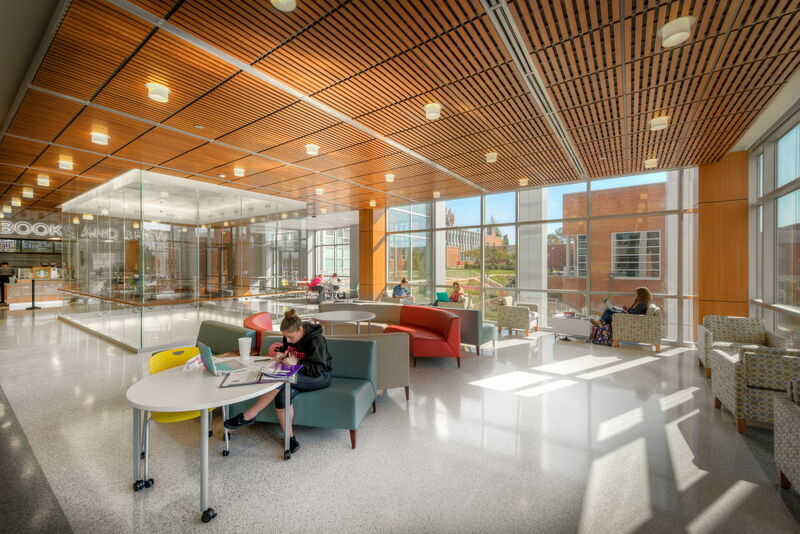 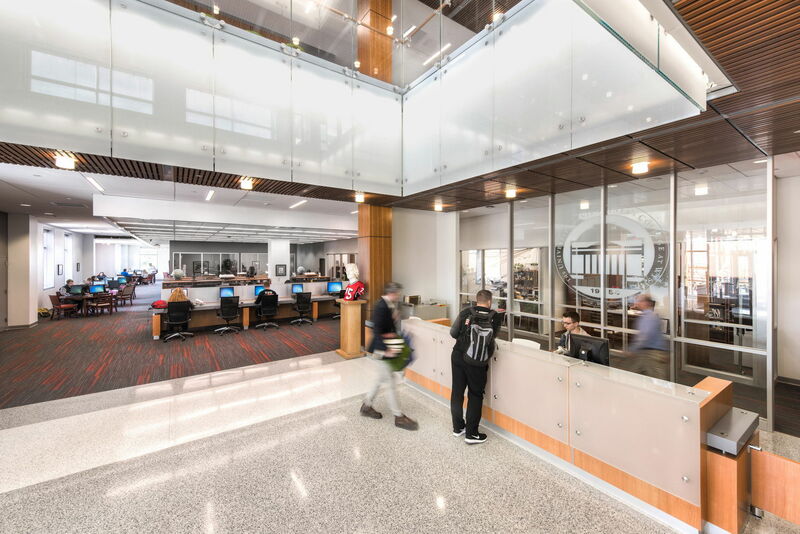 Because of the cohesion of old and new concepts, the library now functions as a center and resource for students to study, collaborate and socialize.